It would be fitting to finish up this challenge with a few all time classics in my humble book of films. 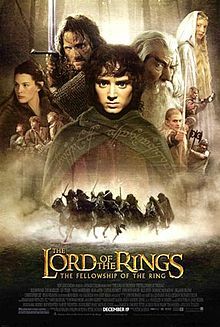 So I decided to make the second to last film, one of my favorites, The Lord Of The Rings. 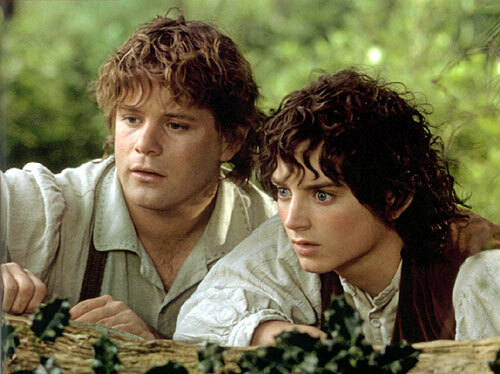 It is with utmost respect for the entire fandom that surrounds the LOTR franchise…I believe that my friends and myself, collaboratively, make up some of the most die hard LOTR fans known to mankind. My older sister Nicole could, at one point, recite the entire prologue from the first film verbatim. We played LOTR trivia games and can’t go an entire movie without quoting nearly every quotable line in the films. I have a friend that I used to work with at a summer camp, and our thing was to quote LOTR lines to each other whenever we passed each other. My friends and myself have seen the movies well over two dozen times each, if not more..need I even continue? These three films could very well be the most entertaining and enjoyable form of storytelling that I have ever experienced in film. It’s no joke when I watch all three, extended edition films back to back in a marathon nearly on the annual. Thirteen hours. 13 hours of pure film bliss…ahhh, yes. It’s even a running joke in my family to recommend watching all three films whenever we get bored at the house. All that is said is, “Marathon?” Then we laugh, and 30% of the time, we actually do it. I won’t bother breaking down the plot for this film because if you haven’t seen it…shame on you. Seriously. For shame. Stop reading this post and go find a friend to watch it with. I think that my movie going experience will only increase as I get to experience The Hobbit Part 1 here in the states, and then travel to themotherland, New Zealand, to watch Part 2, and Part 3. It will be a pleasure indeed to be able to experience The Hobbit in all its glory, in the same country it was made in. Tonight was a good night, and I am happy that I was able to go back and enjoy this instant classic once again.